The best part about it? 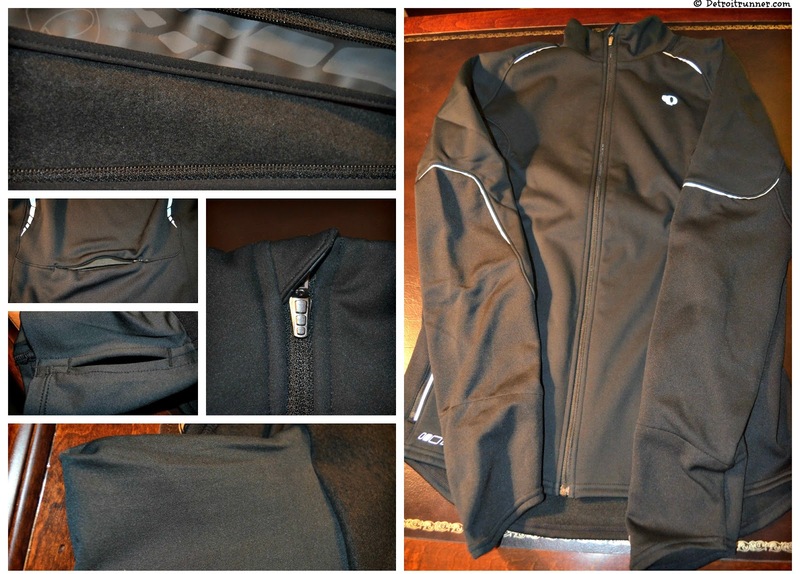 This jacket was on sale for just under $80. I used my Running Warehouse gift cards, which I got for 20% off the price of the gift card so the bottom line price --- $64!!!! How awesome is that? It's a $135 jacket if you go to Pearl Izumi's website. This is one of the most comfortable beanies I own! The unique thing about it is that it has two sleeves on the side to allow your glasses to fit on your head properly. A really great design for a winter hat. Glasses stay on and in place and your head stays warm too. This one was a bit more expensive but still only under $20(with my 20% discount from the gift card and a 10% regular discount) for a quality winter hat. I'm ready for what winter brings me. Of course, now that I'm ready, it's going to be in the 50's this weekend. Haha! I'll take it though. Full reviews to follow on both after I run with them about about a month or so. As I continue to put together my race schedule for 2013, it always seems that April/May/June is a very busy time for races - specifically half marathons and it's really tough to choose what to race when without getting over trained. I have run both of these events and both have been excellent races in the past. 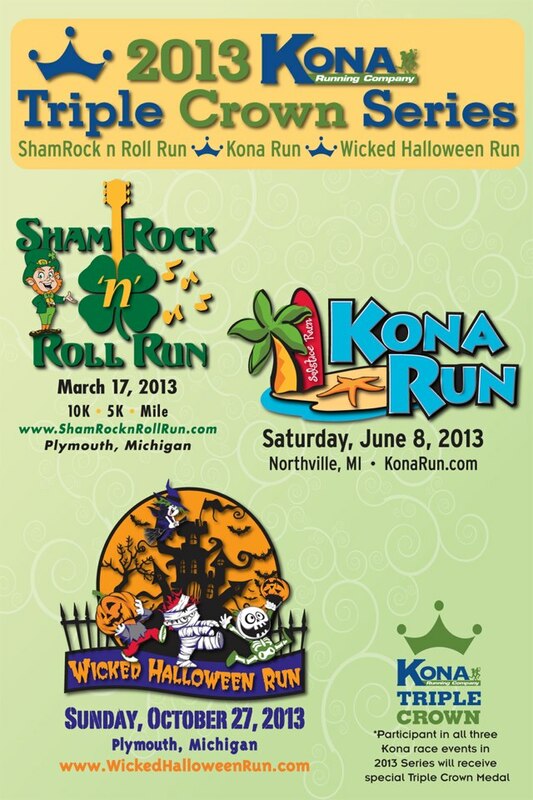 If you have not run a Kona Running Company event before, ShamRock N Roll is their first race of the season. Also, the Rock CF Rivers Half is a great run around the Island of Grosse Ile to help support those with Cystic Fibrosis. 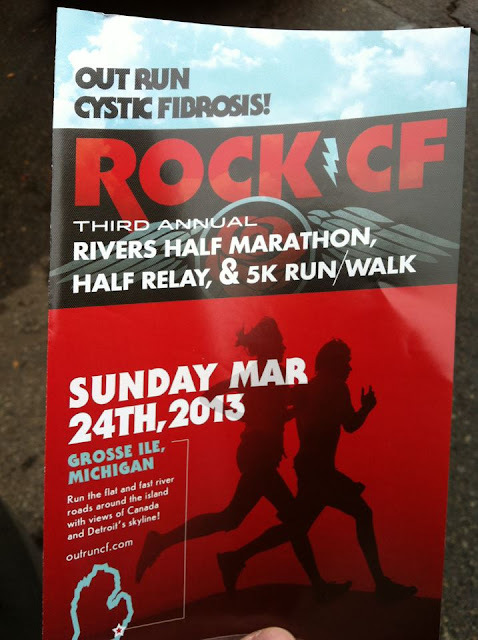 I love the race because it's one of the few half marathons you can run in Michigan in March to help get your season going and/or prepare you for a full marathon in April so check out both of these races to get you started in the spring season of 2013. If I missed any others, I apologize, or let me know what what I missed. My point is that there are so many races in Michigan to pick from(which is awesome!) over this mid April to end of June time period, how do you pick? I wish I had the stamina and money to do them all. For the record, I put a star next to the ones I have run in the past. Also, for those of you looking to run Bayshore this year, a reminder that registration is December 1. My suggestion is to sign up that morning as soon as it opens or you may not get in(especially for the half marathon). I believe it filled in a few hours last year. How about the others on this list, have you ever run any of the other events that I have not raced? If so, leave a comment here on your thoughts of the race. I'd be interested to hear them! Note: I am a race ambassador for both the Kona Races(and compensated blogger) and Rock CF this year. While neither required me to post their information, I did receive a free entry into each of their events to do a race review on their 2013 events. Cross training on the schedule today. Ten miles on the bike and also lifted weights. Just to be perfectly clear, I want to explain the main reason I do race reviews. For runners - to give them an idea what the race was like so they can join in(or not). With the growing number of races, most runners need to pick and choose wisely for what they want to run since they don't have unlimited funds to race. For race directors - to help them improve their race each year by reading a runners perspective. It never hurts to have an extra pair of eyes look at something and I think this holds true for races as well. My hope is that everything I write about a given race is analyzed to make it even better. Whether some believe it or not, I write these reviews to help improve their race, not bash it. They are a fair assessment of MY experience. For myself - hey, let's face it, I'm a runner, so I want every race to be a success because I love that the Detroit area has lots of race choices. With the growth of our sport over the last couple years, races are an important part of our sport and one that I personally enjoy and want to continue to support. My goal is to provide a fair and honest opinion of my race experience. That being said, I review the race like any other runner would review it. I join the crowd and see how the chips land. I don't see all the details of the planning and I realize that the planning is a huge logistical challenge no matter the size of the race. I try to review it like any other runner would critique a race and those categories are registration/packet pickup, start area, course, aid stations, finish area, amenities, organization and overall. The key to my reviews are always honest opinions no matter what happened. Frankly, I've not had really bad experiences at most of the races I've reviewed. Some races are much better than others, but overall, most are enjoyable experiences - even the ones I didn't enjoy as much. I'm happy to be out there running. To have to do a race review that is less than complimentary is not something I enjoy writing. It's not something I want to do. It's something I need to do. Brutal honesty is my policy. Overall the worst race organization I've ever ran in a race. 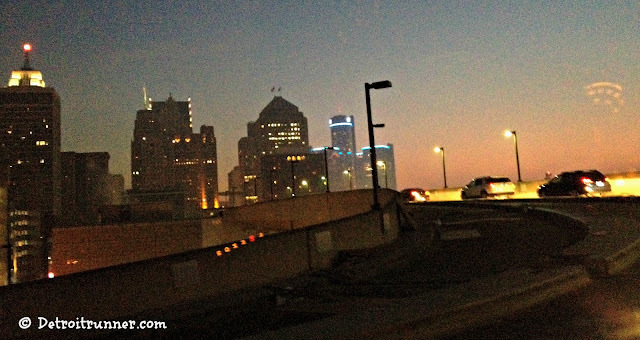 I love the course because I love running in downtown Detroit but changes must be made or I'll never be back. And nobody should blame it on the crowd because that can be managed better. Great weather conditions with the start in the mid 40's. This was the simplest part of the race. Register on-line to select your race. E-mail confirmation sent to confirm you were registered and you were all set. You could also go on their website and confirm your registration as well. Runners without internet access could sign up by mail too. You could also register the day of the race. There were people at the race registering that morning but I can't believe the race even allows it with the amount of people that run this race. It's the largest race in Michigan when figuring in all three races including the 10k, 5k and one mile - 22,100 registered!!! In regards to packet pick up, you could pick up your bib and shirt at a number of locations about three weeks before the race. Just show up at the allotted times and give them your name and they assign you a bib right there. Because of this, it didn't matter what location you went to. I liked this feature since my pickup was only about 4 miles from my home. 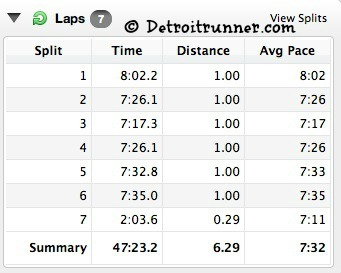 Frankly, if I had to go to downtown Detroit to pick up the packet before the race, I probably would not sign up for it. The only issue I had when picking up my packet is that the volunteers that were supposed to show up, didn't. This left the bank employees there to do it but they got through it just fine. I only had to wait about 3 minutes. Very easy process. Since I've run the Turkey Trot before, I knew that things would be busy and traffic would get backed up. I was expecting it so I left my home about 5:30am and got in my parking spot around 6:45am. 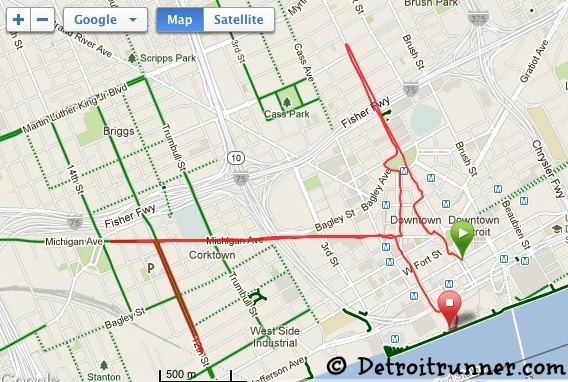 It actually worked out Ok but the freeway at Cobo Hall where the race start is located was backed up. I can only imagine what it was like by 7am but the race warned everyone ahead of time to get in your parking spot by 6:30am to ensure you didn't miss the race. This is really where things took a turn for the worse in regards to the race. There were several "waves" indicating where you should be but I didn't realize I went into the wrong one. Quick pic before I moved to my correct corral. No worries - I moved up and got into my correct corral which was the "comet" wave. Last time I ran the race(2010), it was set up to just line up where you wanted and it was a complete mess. I thought this year would be better with the waves but I was mistaken. 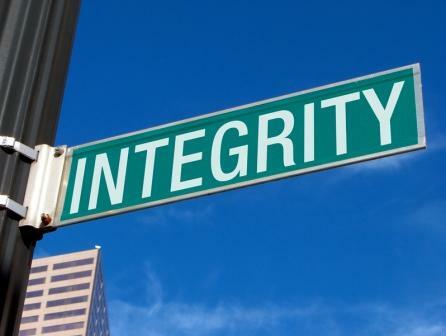 Too bad so many others are not. The biggest issue from this is that there are almost 20,000 people running the race and many do not pay attention(or frankly don't care) to where they should be. While the different "wave" areas were Comet(5-8 minute mile), Blitzen(8-9:30 minute mile), Dasher(9:30-11 minute mile) and Prancer(11+ minute mile), they also had the Rudolph wave for walkers and many decided to go wherever they wanted to line up. I signed up for the Comet group and based on my pace, it's exactly where I should have been. My personal opinion is that if the race is not going to enforce the wave areas(and they were split off separately), then what's the point in having them? I blame runners too for not going to their correct wave but it's the race management's responsibility to make sure this is organized correctly. When I ran the Flying Pig marathon, they had volunteers checking your bib. If you didn't have the correct bib, you didn't get in the corral you signed up for. THAT's the way a start area should be done. It was very disappointing to see all the people that didn't belong in the "Comet" wave including family, strollers, dogs. Not too many 6 year olds running a sub 8 minute mile. While I understand this is a "family oriented" run, please race organizers, change the rules and don't allow these things in a faster paced wave or don't allow them at all. In addition, it probably makes sense to start the race further along on Woodward as, once again, there were runners that were backing up to Jefferson. It could easily be changed as the turn around later in the race could be adjusted to allow for the same distance. The course was similar to what I've run in the past. I love running downtown Detroit and this course does not disappoint. It's a nice course overall and you get good views of the city while running it. It's one of the main reasons that I go to the race. That being said, they could change the route to make it better for the start/finish areas. Unfortunately, the course was not well marked. Because there is a split for the 5k/10k courses, there needs to be a HUGE sign pointing the direction to go. 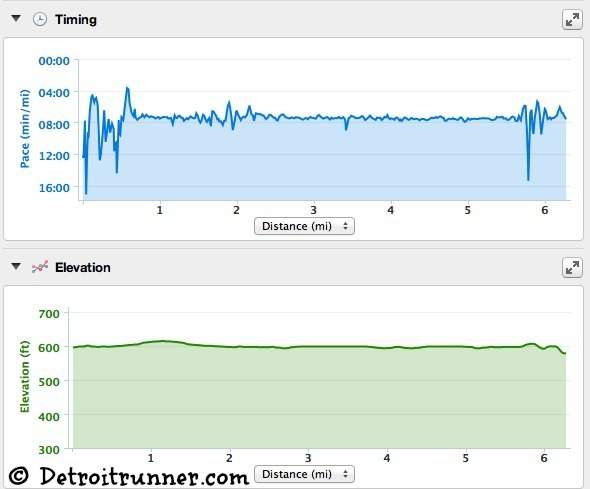 If you have ever run the Detroit marathon, it's very clear where the split between the half and full are and this is what they need for the Turkey Trot. I was lucky enough to hear a volunteer calling out to turn right at the split(for 10k) but I know this was also an issue in the past where runners did not hear it and ended up running the 5k in error. Of course, I don't wear headphones so I didn't miss it but they needed more signs. I also think that because of the size of the race, headphones should not be allowed. There's way to many people in the race to be wearing headphones and it's frankly not safe. Overall though, I love the course. See how slow it was at the start and finish. Super flat course. Ah, yeah, extremely slow at the start. Just shows you how slow the finish was given the time difference. This is why I like this race! As you may have noticed, I'm starting to get used to carrying my camera on the run. Not all the photos are perfect but I'm working on improving my photos while still maintaining a consistent speed. For the record, when I take pictures on the course, I don't slow down so I'm not causing issues on the course. There seemed to be plenty of aid stations on the course as I had seen water stops at plenty of spots. I carried water so I can't remember how many there were but more than enough. I would say for the number of runners though, there were not enough volunteers out there at these stops. One water stop I only saw four volunteers. Not only is that not fair to the runners, it's not fair to the volunteers. They also had a Candy Cane and Cookie aid station which I think is a fun idea although most of the runners at my pace didn't grab anything since really, who is going to eat a cookie during a 10k run? It was a fun idea nonetheless. This was probably the biggest mistake of the entire race. Last time I ran the race, the finish area got a bit backed up but not like it did this year. Runners were walking at the end of the race before the finish. Yes, I'm not kidding, people had to walk because things got so backed up. I stopped my Garmin at the first timing mat thinking that was the end but we still had more to go but could not go anywhere. I'm told that it got even worse as more people started to come in. Things like this on the course, while cool to see, are frustrating if you want to actually run the race. Yes, four runners were pushing this. Note I am walking here. See the clock ahead to the left. I would say that if you kept at least my pace or less, you were affected by it but not like some of the people in the 9+ pace group. This back up was unacceptable. Nobody should have to walk at the finish because of a backup. Now please don't get me wrong, I understand this is a "fun run" but there is no reason, in my opinion, to even have the finish right at Cobo Hall. I also understand that the food is there as well, but jeez, we could walk back to it if needed or put it someplace else. The race organizers need to find a better place to finish the race. I'm sure with the parade getting ready and people coming in for the Lions game does not make logistics easy, but something has to change or they are going to start losing runners in future years. One thing that really slowed things down was the race medals. There were many volunteers handing out medals but I don't think many runners realized that everyone was going to the first two or three volunteers. Many of the volunteers were sitting there with nothing to do because most runners had their medal by the time they got to where they were standing. Huge back up but at least we're past the finish line; not true for those behind us. It would have been very easy to hand out the medals inside of Cobo Hall. I don't really need it right when I cross the finish line. It would have helped not back up the place if runners would have received their medals after they went through the food lines. Apparently, the race also ran out of medals as well. I don't understand how this can even happen? You have a certain amount of people registered, you buy a certain amount of race medals. Nobody gets a medal that does not have a bib. Seems pretty simple to me. Purchase more medals than registrations to ensure you don't run out. The race organization did tell everyone that did not get a medal that more would be ordered so everyone would get one soon. At least they are correcting the issue. I'm sure many of the kids who raced were extremely disappointed not to get their medal and I felt bad after reading about it when I got home. Many adults were upset too(for themselves) but frankly it's not that big a deal for an adult as long as the race is making good on it later. After the finish, we lined up to get food the race was offering. They offered bananas, apples, pretzels, cookies, candy canes and bagels. There was also water but the water was still mostly packaged up when I got there. Why it was not ready the day before I don't know. In addition to the finish line food, you received a long sleeve tech shirt, a race medal, police support on the roads along with the candy cane/cookies on the course. Sticking to two colors is much better in my opinion. Great design for the medal - love it. Well done. The organization of the registration and packet pick-up was good. However, from the start line confusion to the course not marked enough, from not enough volunteers to not enough port-o-potties(I didn't even see any except on the course) and the completely unacceptable finish line back up. This was the most disorganized race I've ever run. Now I want to make it clear that I was not expecting to PR at this race. It's way too large of a race, there's too many new runners/walkers to even think of trying to PR at a race of this size but that does not excuse all the errors that happened today. It's clear that the race organization needs to either get someone else to organize the race or find some additional individuals that have an interest in trying to make the race better. It seems that they hold up their hands and say, "Hey, its a large race, what can we do?" to which I say fix the issues or risk losing runners to your race for next year. Please learn from your mistakes and make it better. As for me, will I run it again? Probably but I don't think I'll be running it anytime soon(not next year for sure) until I get a clear picture that things have improved. Note: I paid for my own entry into this race and was not compensated in any way for this review. All opinions in the race review are my own.